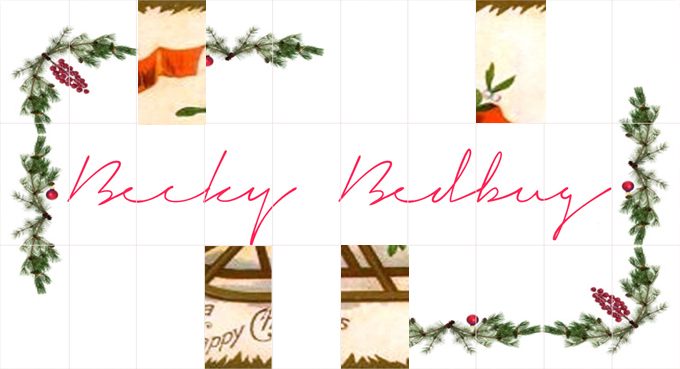 Everyone talks about their best Christmas. So I thought I'd be a little different and tell you about my worst. Be warned: This tale has some quite toe-curling injury so if you're squeamish, maybe skip it this time. It was Christmas Eve 2010. As I've mentioned recently, every Christmas Eve, my family go to church for the Christingle service. It's a big deal for me. It's my absolute favourite event of the year and we've done it every year of my life, as far as I'm aware. 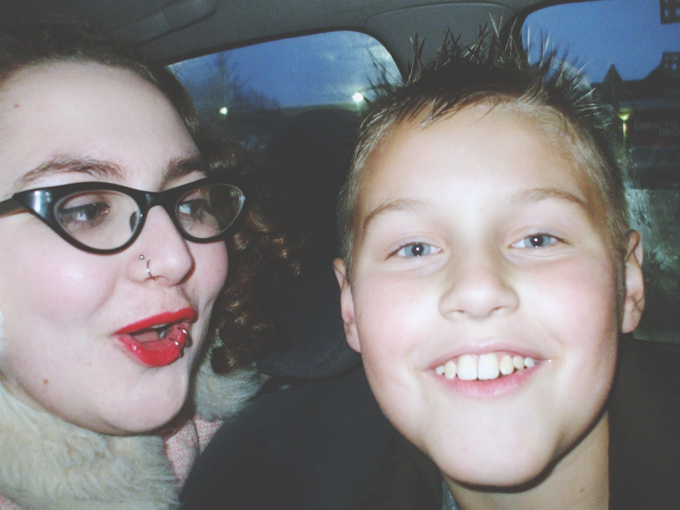 My mum picks me up with my little brother, who had just turned 11 at the time, and we take this photo in the car. As you'll note, he's shotgunned the front seat. As always. We get to my Grandparents' house and I hop out of the back seat, slamming the car door behind me. Then there's a scream. The most awful, horror-filled, banshee of a scream. I whip around and there is my little brother, my baby brother who I absolutely dote on, with all four fingers in the car door. Not the opening side, with the squishy cushioning to prevent this sort of incident, but the hinge side. As I slammed the door, he was pulling himself up with his hand wrapped around the pillar. Now, my brother is well known for being a melodramatic drama queen but this was serious. His whole hand was encased in the door. I can still remember the sheer panic I felt. I rushed towards him, wrenching open the door and gasping "I'msorryI'msorryohmygodI'msososorry". My poor mum had no idea what was going on and was trying to ask what had happened but neither of us were in any fit state to answer her. Myles was now bent double, still howling, his good hand wrapped around the injured. I had no idea if his fingers were still attached and I didn't want to ask. All I could think of was his poor mutilated hand. By now, my mum had somehow ushered us into the house and shephered Myles straight into the bathroom whilst my grandma ran for some frozen peas. I perched on the edge of the sofa and listened to his harrowing screams from the bathroom. My uncle tried to make small talk but all I could think of was how his goalkeeping career was over and it was all my fault. I loved my brother more than anything else in the world, I would do anything for him, yet I had caused this pain on him. I sat there and sobbed. After what felt like forever, my mum came out and assured me that his fingers were all present and counted for. I have never felt relief like it. Eventually Myles came out too, his eyes red and raw. I apologised over and over again. He smiled at me weakly. "That's ok". The childlike forgiveness made me cry even harder as I hugged him. My aunt, a doctor, made a makeshift splint out of a coaster and bandages, and recommended that he go to A&E. Myles squealed every time my mum gingerly touched his fingers and he just could not wiggle them when asked. It looked like every single finger was broken. My grandad drove me home whilst they went to hospital. That night, I didn't sleep. I felt sick the entire night, thinking about what I had done to my baby brother. First thing in the morning, I gave my mum a call to speak to him. "We didn't go to the hospital in the end", she said, "as soon as I mentioned how busy it would be, Myles decided he couldn't be bothered to wait". "So how is his hand now? ", I asked. "Oh, it's fine", my mum replied. "No swelling, no bruising, no redness. Nothing". My older sister trapped my younger sister's fingers in her car door once, but rather than shout and scream my poor little sister waited about 10 seconds and just said "Sadie... my fingers are trapped in your door..." poor little thing!! What a trooper though? AHAHAHAHAHAHA omg rascally little brothers! Awwww. Little brothers. I can picture mine doing this exact same thing. oh my gosh, what a christmas! at least it will be a memorable one!